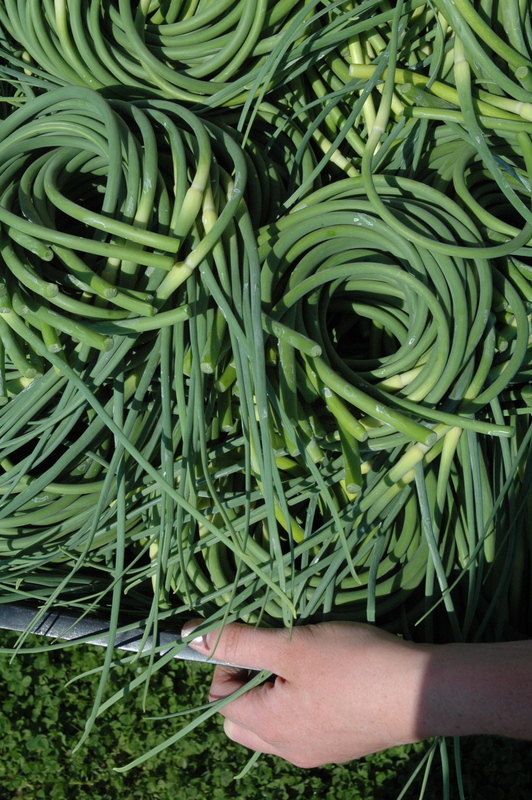 Garlic Scapes - available for sale in mid-June. Garlic scapes are a delicious, mild garlic-flavored, brilliant green shoot that grows from hardneck garlic. We clip them off to divert that growing energy to the bulb of garlic. These tender shoots a treasured culinary treat available in June. Check out our “Cooking with Garlic” page for some great scape recipes and remember that the scapes make the greenest pesto! They are also great grilled, chopped fresh in just about anything, sauteed or even pickled. We will ship you a box with 6lbs of scapes which will last through the spring, and make more than enough pesto to put in your freezer. We will harvest and ship the scapes on the same day. They are harvested from in June and will last for 2 -3 weeks after shipping if refrigerated. They can also be frozen for use throughout the year. 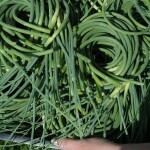 6 lbs – $45.00 *Scapes ship in June – harvest times may vary due to weather. *For our local garlic lovers – Our farm stand will open in late May, 2019. We will have scape pesto, Garlic Hot Sauce, garlic products, greens and early season veggies available for sale then. Fresh scapes are usually available in Mid-June. As the season progress we will have garlic bulbs in July along with Heirloom tomatoes and other seasonal organic veggies. Thanks for your continued support. 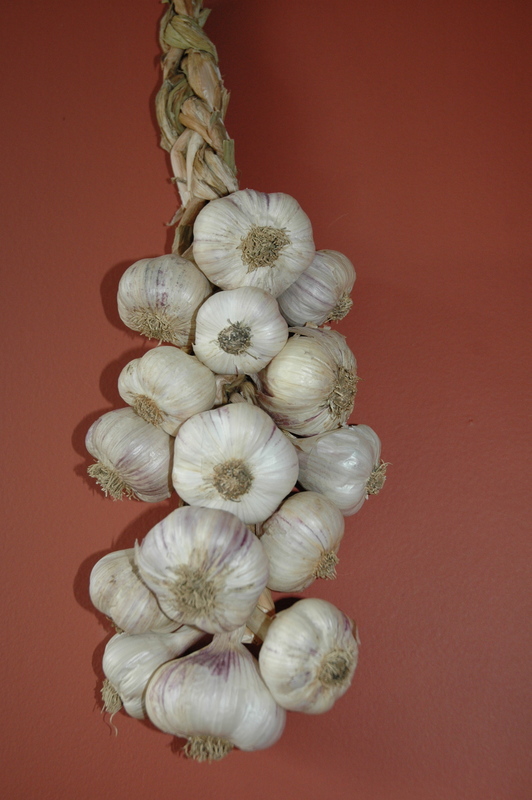 Grace your kitchen with a beautiful Organic Softneck Garlic Braid from Green Mountain Garlic. All garlic braids are made from our certified organic, softneck garlic grown on our farm. Quantity is limited so order now and enjoy this beautiful garlic gift for months to come. Softneck garlic is our longest storing garlic and will last up to 12 months if hung in a dry place. 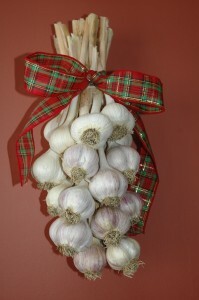 Grace your kitchen with a beautiful Organic Hardneck Garlic Bouquet from Green Mountain Garlic. All garlic bouquets are made from our certified organic garlic. Quantity is limited so order now and enjoy this beautiful garlic gift for months to come.